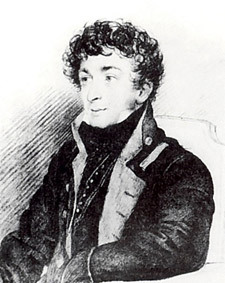 Konstantin Nikolaevich Batyushkov was born in the northern Russian city of Vologda in 1787 into an old gentry family. He received a private education and acquired a good knowledge of Latin and modern languages. After serving in the ministry of education in St Petersburg, he took part in the European wars, witnessing the burning of Moscow and entering Paris with the victorious Russian army. A collection of his writings was published in 1817 to great acclaim; his poetry, with its epicurean themes, classical tone and formal beauty, greatly influenced the young Pushkin. He was in Naples on diplomatic service in 1819-20, but succumbed to depression and incurable mental illness and retired to Vologda, writing virtually nothing between 1822 and his death in 1855.